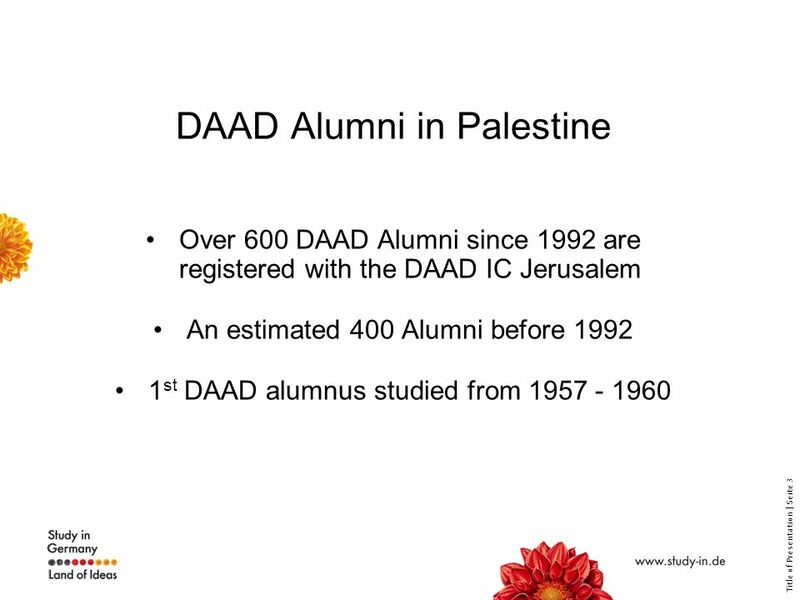 Palestinians studying in Germany. Title of Presentation | Seite 2 Universität Tübingen. 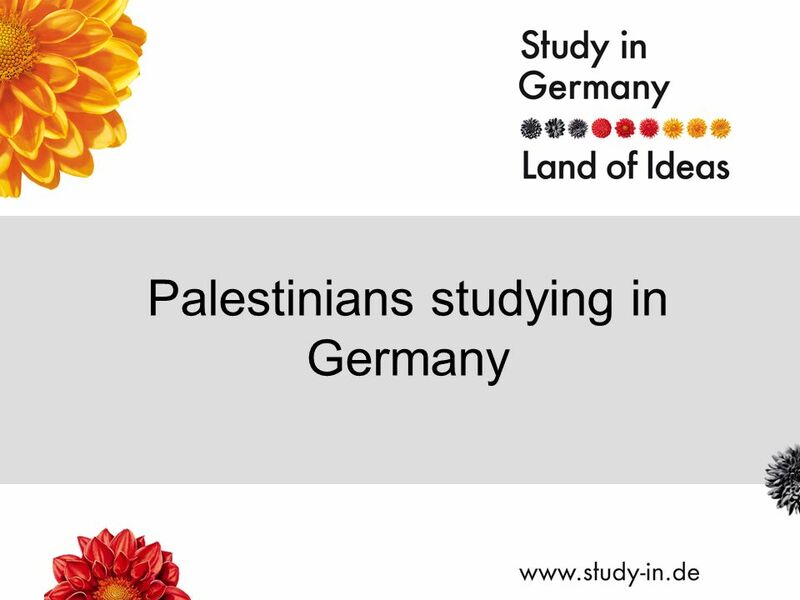 Download ppt "Palestinians studying in Germany. Title of Presentation | Seite 2 Universität Tübingen." DAAD Funding Programmes for Scientists and Researchers © Hagenguth/DAAD © Forschungsverbund Berlin © Bezergheanu Mircea © Syngenta© Bayer AG © Syngenta. Doing your Ph.D. in Germany. Title of Presentation | Seite 2 Why? Excellence in Research Close cooperation with leading scientists. Doing your Master in Germany. 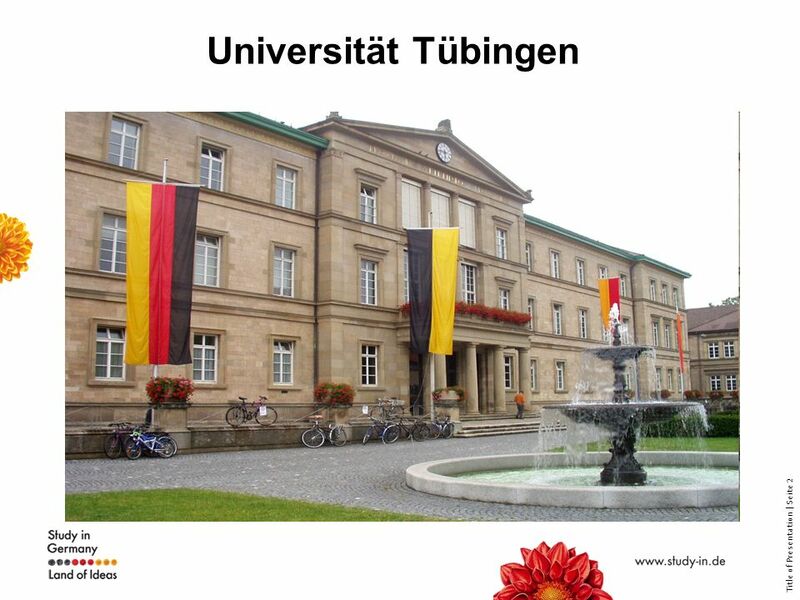 Title of Presentation | Seite 2 1.faculty-building (to be confirmed by your university) 2.Scholarship of excellence (average. 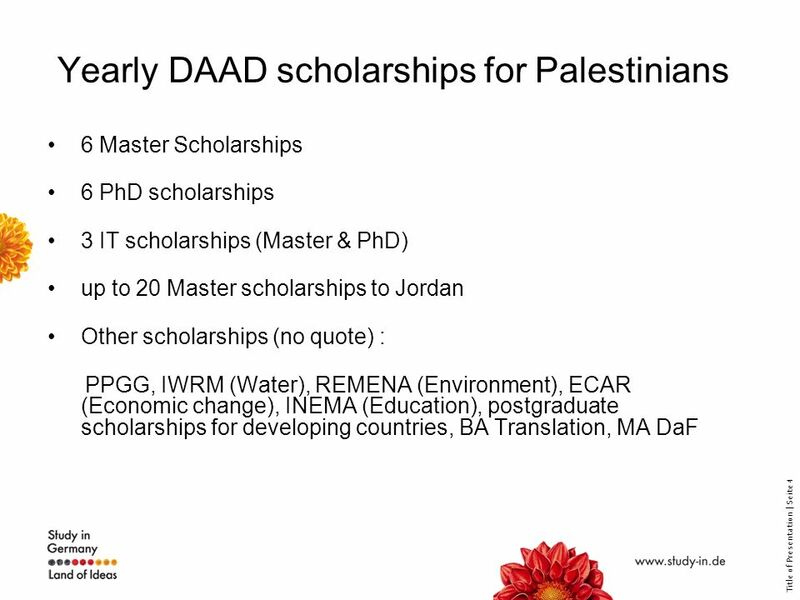 Doing your Master in Jordan. Title of Presentation | Seite 2 1.faculty-building (to be confirmed by your university) 2.Scholarship of excellence (average. Business Administration DSA Seminar February 18, 2010. DAAD Survey – Selected FindingsBonn DAAD DAAD Alumni Survey – 2011 Selected Findings Michael Golba Carl von Ossietzky University. The Friedrich Ebert Foundation (FES). About the Friedrich-Ebert-Stiftung The Friedrich-Ebert-Stiftung is a non-profit German political foundation, related. From 2005-Present.  Intergroup- Palestinians fighting amongst themselves- (Hamas v. Fatah)  International- Both Palestinians in Gaza and the Israelis. 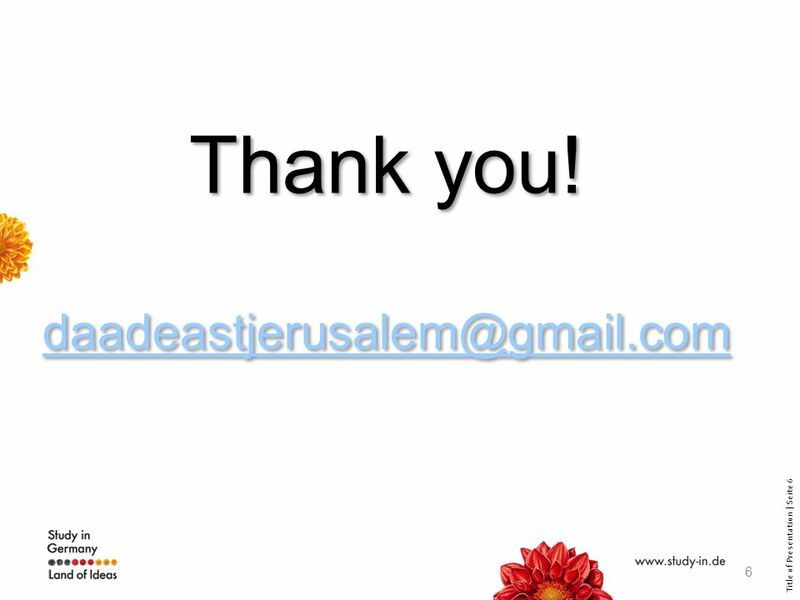 2 ND CALL HOW TO APPLY Nayla Hocheimy Hajj Vice-rectorat aux relations internationales Université Saint-Joseph. An Examination of a Selection from Thomas Friedman’s From Beirut to Jerusalem Mido Aly. Eisenberg 2010 Title: Quote: Paraphrase: SOURCE:. IDP Master & IDP IT Master in Germany. Title of Presentation | Seite 2 Why Germany? Top quality of higher education & wide choice of International Degree. Todays Issues. Why do you think people from one country would go work in another country?